While all political news reading is way up, it is the Post and Times -- spurred on by incisive reporting and top smartphone products -- that have most benefited. It's no illusion. Now at midyear in 2017, nearly eight months after the contentious election, Americans continue to devour political news in national politics, checking the news breaks and the daily outrages throughout the day on their smartphones. While Americans, according to comScore Inc., spend about 30% more minutes per month reading news and information than they did three years ago, comScore's wide-ranging general news category accounts for only 11% growth. It is political news, as well-trafficked by both the sites specializing in politics and, especially, by The Washington Post and The New York Times (NYT - Get Report) , that sees continuing large audience growth. Newspaper websites also seem to have profited greatly from the political times, up 71%, while the top five national TV news companies show a 45% increase. Here's the newspaper wrinkle, though, that tells us a lot about the reshaping of the American press, circa 2017: Combined, The Washington Post and The New York Times account for almost two-thirds of that newspaper reading growth. All the remainder of the U.S. daily press, about 1,350 dailies, including The Wall Street Journal, account for the other third. All those newspapers combined found about 35% growth over the three-year period, a little better than that overall news and information growth. It is the Post's and Times' numbers that seem stunning. The Post's amazing rise, which vaulted it back into the national elite press in fewer than four years of Jeff Bezos' ownership, can be captured in this number: It's up 367% in minutes spent since 2014. The New York Times clocked an almost doubling in that same period, up 97%. In minutes, think billions. In May, visitors spent almost 2.1 billion minutes on Times apps and sites and almost 1.5 billion minutes with the Post. In comparison, top two titles in the political news category, though showing a greater three-year percentage gain, accounted for fewer minutes. CNN Politics users spent 387 million minutes on the site in May, while Politico use totaled 266 million minutes. Meanwhile, the top TV sites beat both the Times and Post in total minutes, though both newspapers' great growth has put them within striking distance of them. CNN, overall, rang up 2.8 billion minutes of usage in May, while Fox News did 2.5 billion. How, though, do we put the two newspaper rivals' head-to-head numbers in perspective? Is the Post beating the Times, an effort it's been making since naming itself the leader of the pack as 2015 pressed to a close? "The Washington Post kind of jumps out, but you know that's kind of catching the obvious ongoing growth that they've had for the last few years even before the election," said Andrew Lipsman, comScore's senior vice president of marketing and insights. 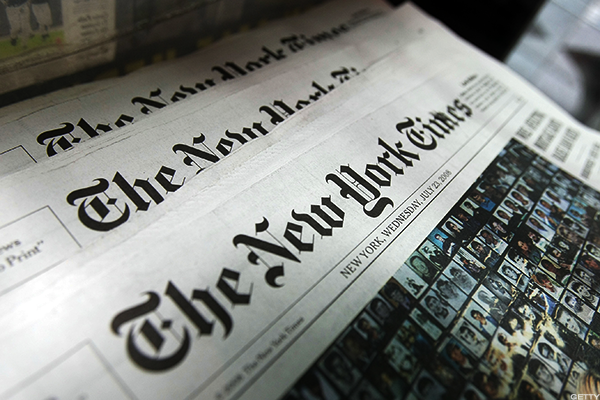 "The New York Times was just starting off at a higher point. In June 2014, in context, The New York Times was over three times larger than The Washington Post, and now it's maybe 30% or 40% larger." That rings true. Further, the Post, self-acknowledged, plays catch up to the Times, which instituted its paywall in 2011. At this point, the Post can count about a third of the Times' 1.9 million digital subscribers, and it's worth remembering that the Times commands premium prices for those full-price ($195 or more) subscriptions, while the Post sells many under $50-a-year subscriptions for its (non-local) National Digital Edition. That's consistent with Jeff Bezos' Amazon-borrowed pricing models. The Post -- with its fulsome embrace of Facebook Inc. (FB - Get Report) and other distribution platforms -- still focuses strongly on pulling in new audience, while the Times, Financial Times and Wall Street Journal have pivoted more to converting semiregular readers to paying subscribers, while more judiciously working the wider web. It is in paying subscriptions that we've so far most tracked the Trump Bump, at the Times and Post to be sure, but well beyond. The analysis of minutes spent adds a new dimension to the Bump. In May, the Times and Post, combined, accounted for 44% of all newspaper minutes spent in the U.S. A year earlier, they accounted for just 35%. What about the U.S.'s two other print-based nationals? Over 2014 to 2017, The Wall Street Journal showed an increase of 35%. That parallels daily newspapers' -- minus the Times and Post -- growth overall. Meanwhile, USA Today isn't included in comScore's newspaper category, found instead under general news, as Gannett includes the company's sports, family and other sites in its "roll-up" number. Why have the Post and Times created so much separation? Let's tick off the reasons why and how the two papers have separated themselves from the pack of once-peer newspaper companies, and from the Journal as well. First, the news has unquestionably gotten more "national," reversing former House Speaker Tip O'Neill's old dictum that "all politics is local." Hot-button issues -- from the never-say-die abortion debate to immigration to healthcare -- play out disproportionately at the national level. Both the Post and Times have seized on the multiplying Trump-centric news of the day, exploring the story from every angle and devoting much investigative muscle to it. Second, it's a clear matter of resources and how they are deployed. 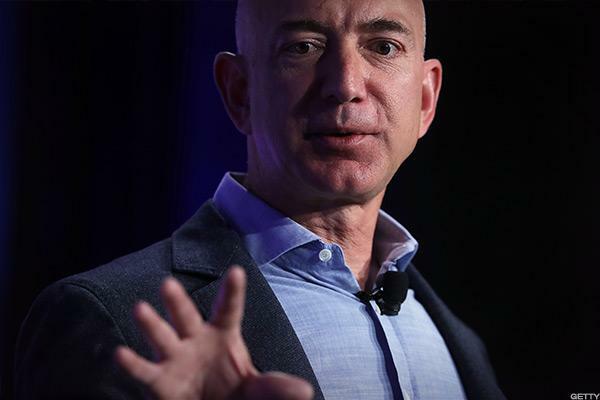 The Times, even as it dances with new staff reductions, still employs about 1,300 highly experienced journalists, and the Post count, up 150, Bezos says, now tops 700. Compare those numbers with a daily newspaper newsroom workforce across the country that has been more than halved since 1990, to no more than 27,000. Third, it's the delivery of all that news production. Both the Times and Post have perfected smartphone apps that deliver all the breaking news, and more, in an entertaining, increasingly interactive way. And let's note the power of the smartphone in this news explosion: Lipsman said comScore can attribute all the great increase in news minutes to smartphone usage -- as desktop usage in minutes has actually declined since 2014. No surprise, social sharing is likely driving lots of the boom in political news reading. "What ends up driving a lot of the traffic in the news category, I think, is social linking to newspaper articles," Lipsman said. "And so that's why the mobile web numbers are bigger [than app numbers]." Lipsman is a major proponent of news companies building good mobile browser experiences, to build reach, and of creating great apps, to satisfy the most engaged reader. Yet he also sees how difficult the mobile browser versus app stats are to make sense of. Most newspaper companies simply haven't invested the resources in creating a compelling app experience. "The New York Times is probably one of the handful of apps in the category that people actually download," Lipsman said. How much more engagement could other regional newspapers, especially large metro ones, gain if they offered up apps with the vitality of the Times and Post? If there's the intranewspaper landscape to digest here, the newspaper/TV one offers another wrinkle. The top five national TV news providers -- CNN, NBC News, ABC News, Fox News and CBS News -- managed a good 45% increase over the 2014-2017 period. Significantly, Lipsman said, "There was a very significant peak around election time for these brands." These TV brands have lost about 25% or more from their post-election peaks. The Post, Times and newspapers in general, in contrast, largely maintained their post-election minutes-read numbers into May. While the top TV news brands have come down to earth since the election, most, too, can claim good three-year growth. NBC News Digital has seen 66% growth, followed by CNN and Fox, both at 35%. CBS looks like a laggard at 11%, left behind as the news world audience has multiplied. ABC News is harder to gauge, given its six-year traffic partnership with Yahoo News, a relationship that has changed or will change this year, as Verizon Communications Inc.'s (VZ - Get Report) Oath takes over what had been the core operations of Yahoo! Inc.
What greater sense does Lipsman, an analyst deeply enmeshed in the data, draw from the latest study? "it's really pretty incredible. There's a high level of sustained readership and in newspapers and politics specifically," he said. "You know, in news and information and general news [the two, big broad categories], factors like something as big as Trump are going to have some impact, but it's also going to be weighed down by overall average internet usage trends." Publishers undoubtedly are asking themselves if this is a political news bubble. In the short term, though, this intensity of interest has translated to newfound engagement, to a return to a daily habit of news reading, and the smartest publishers have seized that opportunity and will ride it as far as they can. Jim Cramer and the Action Alerts PLUS team have some thoughts on the latest developments for Alphabet Inc. (GOOGL - Get Report) and Comcast Corp. (CMCSA - Get Report) . Find out what they are telling their investment club members. Get a free trial subscription to AAP.